Imagine you were a computer program and your job was to determine whether a chiropractic practice was in business and if so, its correct address. How would you do it? You’d probably scour the Internet looking for mentions of that practice and compare them, looking for enough consistencies so you could reach an accurate conclusion on which to base your reputation. Turns out, that’s exactly what Google does. Each mention is called a citation. Your practice may have hundreds of them. Are these online mentions of your practice consistent? Citations come from well-established sites to boost credibility. They increase Google’s confidence in your contact information and categorization. These online listings validate that a practice is part of a geo-specific community. This is why links from citation sites can significantly boost your search engine rankings. Citation marketing particularly helps in the area of local search. According to search expert David Mihm, citation-related factors make up 25 percent of his top 20 local SEO factors. What does this mean? When a prospective patient searches for a chiropractor in their area, they are more apt to find you. Data aggregators: Aggregators like Neustar compile millions of business locations across the United States. They syndicate their data to most local search engines, including Bing and Google. Local search engines: The top search engines crawl the Internet for citations to validate business information. Getting listed on sites like Yelp and Foursquare help build confidence from local search engines. Local directories: These are well-indexed by search engines, focusing on a specific geographic area. Directories like Best of the Web help build credibility with search engines. Industry directories: These websites pertain to a particular industry. Searches like “chiropractic directory” will provide ideas of the kind of sites on which you can get listed. An important part of citation marketing for chiropractors is auditing your listings. 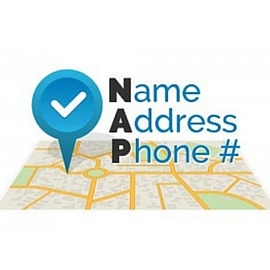 It’s critical that your name, address, and phone number (NAP) are listed the exact same way – everywhere they appear online. Citations that conflict from one site to the next will likely not improve your rankings. For example, if your practice address is 123 Clubhouse St., make sure “St.” is always written the same way. If your address has abbreviations, it must be abbreviated across all your citations. Doing so confirms that the listing is referring to your practice. To audit your citations, search for your practice in Google. Verify the NAP information on all of these sites to identify inconsistencies. If you find any, be sure to get these listings updated with consistent information. Learn where to find the right citations to grow your presence online by downloading our free eBook. You’ll discover a list of the best citation websites, and learn how to get listed. « Introducing New Chiropractic Websites for Permenter Chiropractic and more!